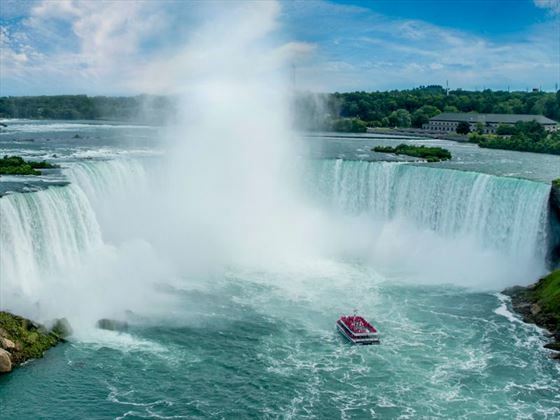 Experience the best of the picturesque and historic cities of Eastern Canada, from the high rise city of Toronto to the excitement of cruising to the base of Niagara Falls. 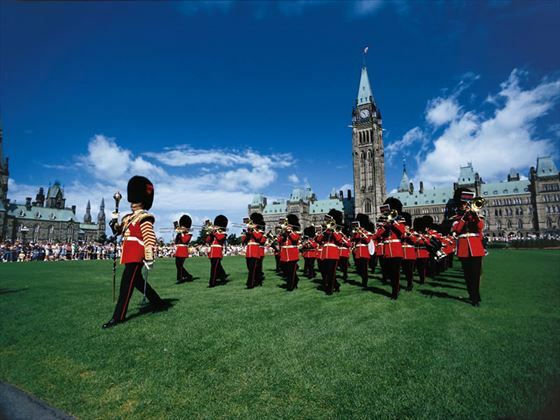 With time spent exploring the beautiful cities of Ottawa and Quebec, this Platinum tour offers the opportunity to experience English and French cultures, mixing excitement with culture and relaxation. 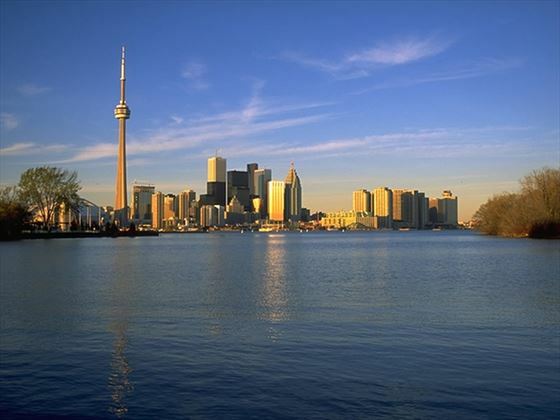 On arrival at Toronto International Airport, an airport transfer takes you to one of Toronto's premier luxury hotels. As the name suggests, The Omni King Edward is a regal place to stay - the architecture is grand, the atmosphere is glorious and the clientele glamorous. At 6.00 pm, join your Tour Director for a Welcome Reception with drinks and light meal. Spend the morning exploring this cosmopolitan city. Rise to the top of the CN Tower and view Toronto from four different lookout levels. Travelling up stately University Avenue, see Ontario's Parliament Buildings, Queen's Park and the city's museum row. Then take a trip to o one of the world's great natural wonders, Niagara Falls. Enjoy close-up views on a cruise to the base of the falls before browsing the shops and galleries of charming Niagara-on-the-Lake. Back in Toronto you are at leisure. Travel north along the shores of Lake Ontario for an orientation tour of Canada's first capital, Kingston. See the historic buildings, churches, picturesque neighbourhoods and 19th century fortifications. Continue to the current capital, Ottawa where you will visit the Canadian Museum of Civilization, Canada's largest and most popular cultural institution. Then settle into your landmark hotel, reminiscent of a French château and located next door to the green-peaked roofs of the Parliament Buildings. This evening, you are invited to a Highlight Dinner crafted to delight your taste buds as well as your imagination. After breakfast, enjoy a truly special local experience—meet a retired member of the Royal Canadian Mounted Police, colloquially known as the Mounties. 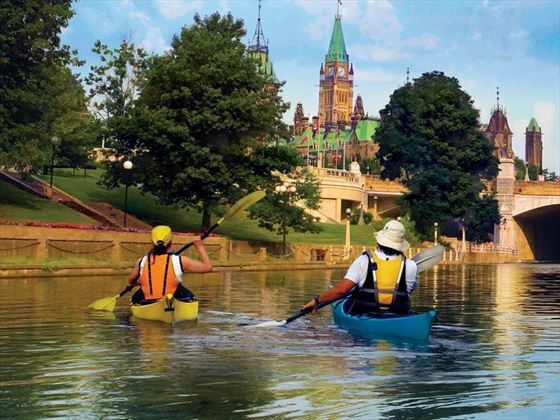 Then immerse yourself in an orientation tour of Ottawa, famous for its stately boulevards, imposing buildings and tulip-filled gardens during the spring. 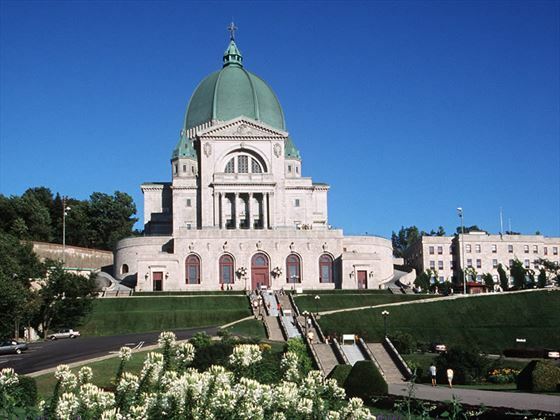 See the Royal Canadian Mint, City Hall and the National Art Gallery. View, the famous Rideau Canal (a UNESCO World Heritage Site) an early 19th century construction covering 125 miles (202 km) of the Rideau and Cataraqui Rivers from Ottawa, south to Kingston Harbour on Lake Ontario. Visit the impressive neo-Gothic Parliament Buildings with its soaring central Peace Tower and gabled copper-topped roofline before spending the rest of the day at leisure for shopping or additional sightseeing. 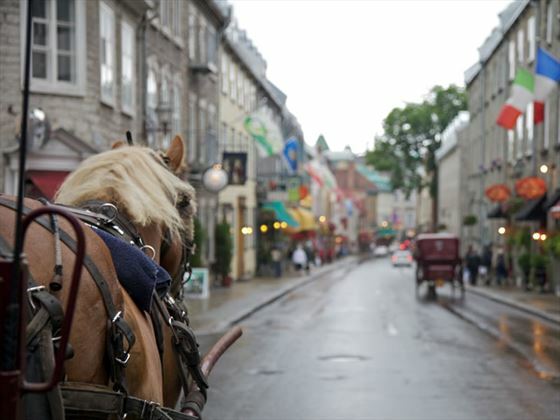 Depart Ottawa and follow the St. Lawrence River to Quebec City, North America's first French settlement and only walled city. See the thundering Montmorency Falls and take a short orientation tour before checking into your iconic, luxury multi-turreted hotel, which dominates the historic Old Town. Enjoy an exclusive guided tour of this historic building, learn how the history of the chateau and the city's inhabitants have been interwoven for so long, and gain access to areas not accessible to the general public. 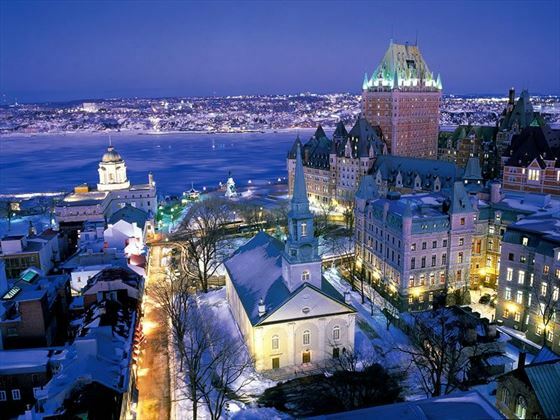 Quebec is a bastion of Europe as you will discover during a morning sightseeing tour with a local expert. See the Citadel, Latin Quarter, National Assembly and Royal Palace. The afternoon is at leisure in this romantic city and everything is within walking distance. 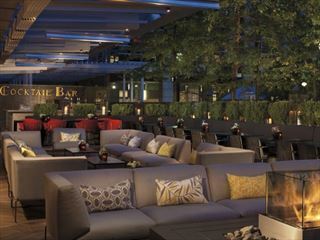 Perhaps round off the day at your hotel's St. Laurent Bar - their signature martini comes highly recommended, along with the exquisite views over the mighty St. Lawrence River. In the evening, you will be taken on the Ile d'Orleans for a private Highlight Dinner at Le Moulin de Saint Laurent, a stone watermill dating back to the early 18th century. Chef Martin will prepare a superb regional meal hinting at the season and using only the freshest local produce and ingredients, while musicians spoil you with a diversified musical repertoire. Your tour ends upon hotel checkout with an included transfer to the airport for your flight home. 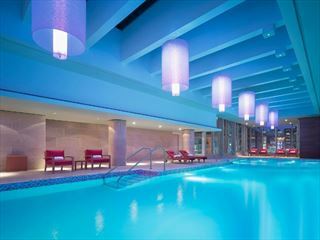 This luxurious city-centre hotel makes an ideal base for exploring the best of Toronto with lavishly comfortable suites, a top-class restaurant and fabulous spa.